Stephanie Craig is a amateur historian and travel blogger. She writes at historyfangirl.com. 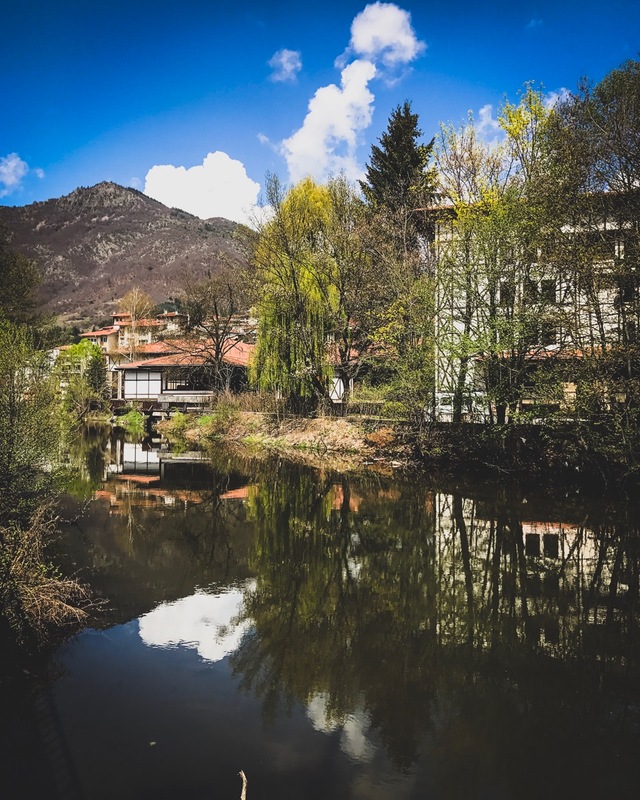 I first came to Bulgaria in the fall of last year, and I was immediately wowed by this wonderful country. Sofia charmed me right away, and I fell in love with the capital for its vibrancy, gorgeous architecture, and urban core. After bouncing from country to country for eight months, I came back in February to settle down in what I consider to be my new Balkan home. But occasionally, even a city girl needs to escape, which is a great excuse to get out and explore the country’s quieter towns and villages. 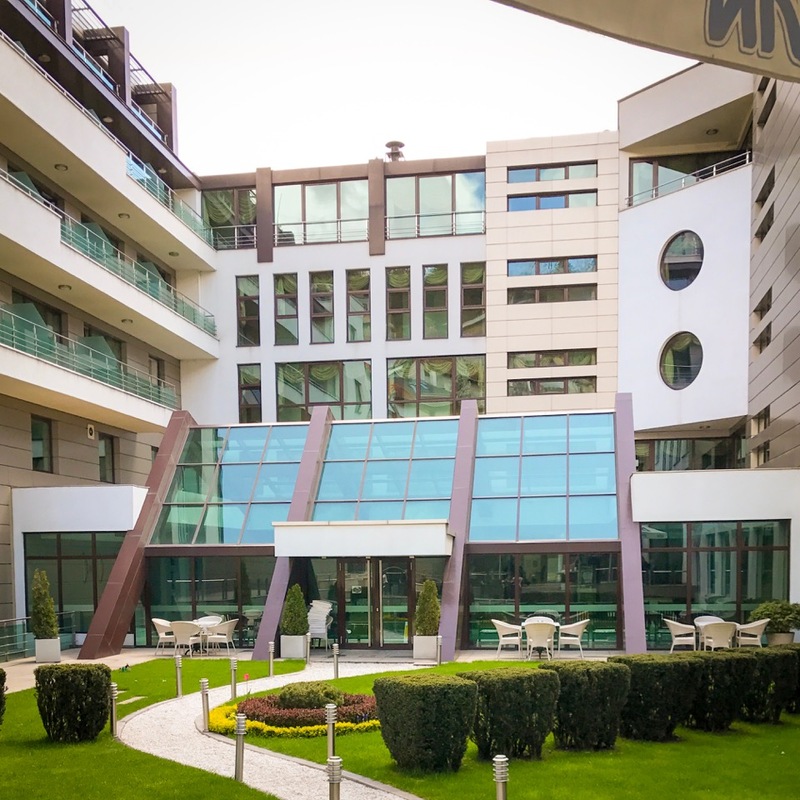 Desperate to get out of Sofia for the long Easter weekend, I decided to take Todor up on some of his advice from his post “7 magnificent spa resorts in Bulgaria” and booked a quick getaway to the spa town of Devin. I’m so glad I did! The weekend was peaceful, beautiful, and relaxing – everything I needed it to be. 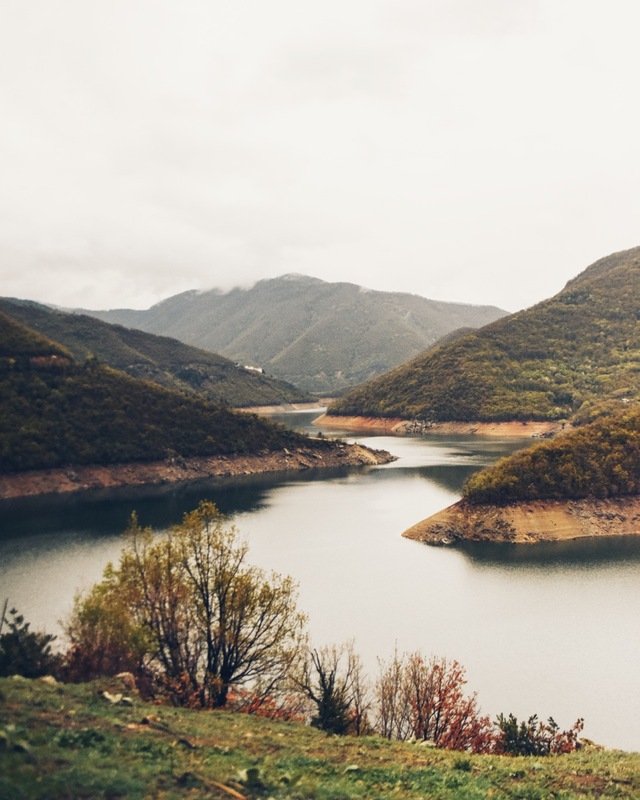 Since Todor has explained why Devin is a great option for a weekend (or more), I thought I’d report back and share with the kashkaval tourist community some of the highlights I enjoyed on my trip so you can prepare your own weekend away. Devin sits high in the Rhodope Mountains, near Bulgaria’s southern border with Greece. The small town of about 7,000 looks like many other towns from afar: lots of traditional rust-red roofs, taverns, and the local Orthodox church. It is famous for its mineral hot springs. The largest bottled water company in Bulgaria is also called Devin, named for and bottled in the town. The town is small, charming, and easily walkable. Centered around the Devinska River (as well as a few other streams and waterways), there are multiple picturesque bridges and parks nearby. Cottages and houses climb halfway up the mountain peaks. Why go to a spa town and not enjoy the spa? I swam in the mineral pool at my hotel, enjoyed the sauna and steam room, got a full body massage, and capped off the day with a Bulgarian rose oil infused body scrub. I was so relaxed that by the end that I couldn’t feel my face. One of the unexpected highlights was the Devin Museum, a small green building in the middle of town. 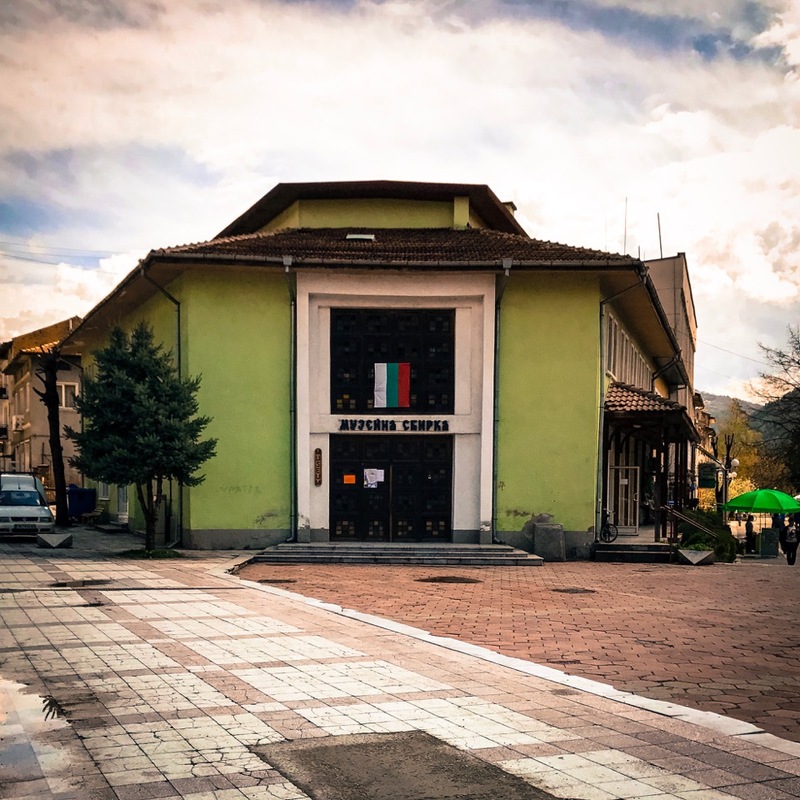 The museum has regional artifacts dating back to prehistory, ethnographic displays of traditional clothing, and an overview of town life during the twentieth century. This stop was well worth the hour we spent going through the exhibits. The entry fee was minimal (two leva), and many of the signs were translated into English. 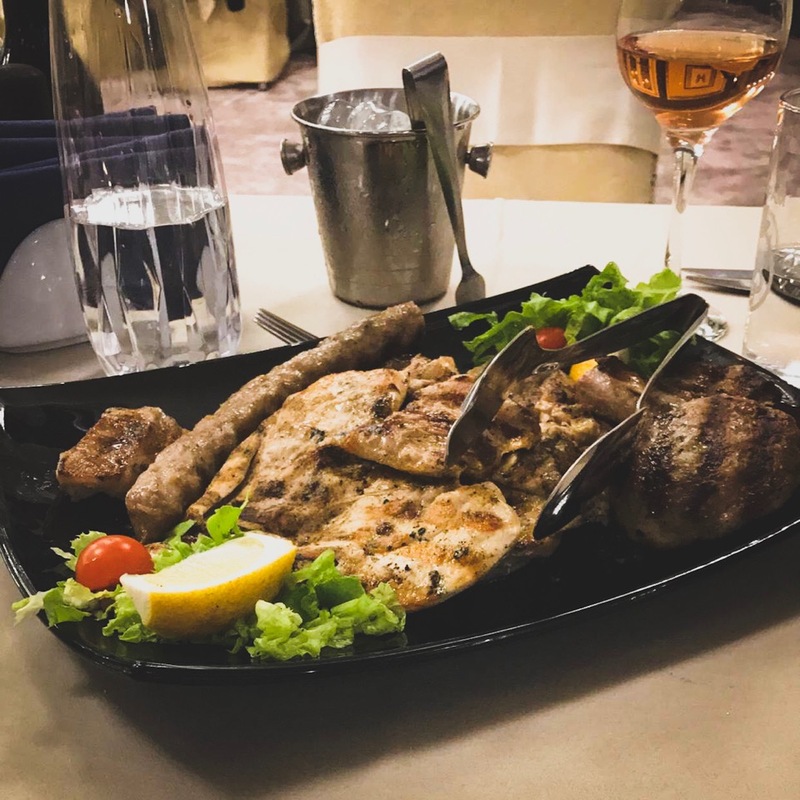 Isolated for much of its history, the region has developed its own cuisine as well as offering traditional Bulgarian fare. We chatted with one chef about the pride he takes in having local meat and produce (claiming no tomatoes taste better than one grown near his hotel). We stuck to the seasonal menus, and enjoyed every bite. I’ll admit I’m not a serious outdoor adventurer, but even I set aside time to spend outside soaking in the mountain beauty. There are many hikes and as well as the Samodivsko Praskalo waterfall you can seek out if you want to devote an entire day or an afternoon. We chose to take extra time on the drive home, pulling over every few minutes to take photos of the stunning mountain scenes, lakes, and animals we spotted on the roadside. We traveled from Sofia to Devin in a rental car. The drive was easy and pleasant. For those afraid of driving on mountain roads, the highway was wide enough through the mountains and the edges never seemed too steep. The town has many spa hotels to pick from, and there is also a public bath. Take cash, as it’s one of the least credit-card-friendly towns I’ve been to in Bulgaria so far. Thank you Todor for the recommendation. I feel like this is a town I’ll return to a few times over the next year. I’m looking forward to trying some of your other spa town recommendations this summer as well. Like kashkaval tourist on Facebook! Proudly powered by WordPress. Child theme based on: Syntax by Automattic.